From a certain point of view, Hive is the noblest character in Agents Of S.H.I.E.L.D. He’s the oldest being on the planet, with wisdom far outstripping that of any single other person. And he’s trying desperately to put a stop to war, to famine, to disease, and all the things that threaten Earth and its continued habitability. There’s no argument against his reasoning, if you consider what he’s doing to be nothing more than giving a helpful boost to evolution. To him, it’s the equivalent of stopping a pair of dogs from tearing into each other. In fact, it’s better: It’s freeing prisoners from the binds that degrade their soul, and making them of a piece with yourself, intellectually and emotionally. There’s no disagreements to be had when you’re all on the same page. If only there wasn’t that nagging question of choice. Choice plays a meaningful, if ultimately incidental, role in the events of “Emancipation,” which is why it’s odd the show doesn’t try at least as hard as Captain America: Civil War to make a reasonable case for both points of view. Talbot doesn’t push his own perspective very well, even though it’s the one the rest of us adhere to as part of the social contract. You may not like anti-smoking laws, but you follow them—and if you don’t, you accept the risk of being fined. We demand that guns be registered, but someone with ten times the destructive force shouldn’t have to register that internal weapon? It’s a valid concern, and now the law of the land. The fascist aspect of superheroes operating without oversight (really, our heroes are like a black ops CIA who don’t answer to anyone, and do whatever they want) has been an open question at least since Alan Moore’s Watchmen. I don’t expect the show to answer this knotty philosophical and moral issue, but I do expect it to at least pose the question fairly. Even Steve Rogers admitted the Sokovia Accords had a good point. The real problem with “Emancipation” wasn’t in the conception, but in the execution. It wasn’t just the fallout from Civil War that didn’t get a fair shake in this episode (and it’s not like we were expecting Ant-Man to show up; the only factor that should’ve been present is a sound handling of the ideas and themes). The carrying out of the Trojan Horse gambit should’ve been a lot more thrilling. Instead, Lash’s surprise arrival and rescue of Daisy moved like molasses, the exact opposite of the fast-paced tone that makes the show soar. Even beat, every action, was held twice as long as it needed to be. Lash took his sweet time gathering Daisy, not doing more damage to Hive, and letting himself be killed by James through sheer negligence. Craig Titley’s script didn’t seem to call for such a plodding assault, but that’s what was delivered. The audience shouldn’t have time to catch its breath when such game-changing machinations are going on, but the viewer had time to churn butter during this climax. Which is too bad, because it was a really smart plan. Getting Daisy to trust hot-headed Lincoln, only for him to turn the tables and send Lash in his place, was a great bait-and-switch. It went a long way towards making our little lightning bug less of a lunkheaded bad-idea generator, like he was last time. And it helped to cast the awkward walk-and-talk fumblings of the team in a better light, as I spent a good chunk of the episode on Talbot’s side, thinking, “Surely, Coulson’s team can’t be this hapless, can they?” Mack gets knocked down by Lincoln, but not out, which is an improvement, and the rest of the group managed to summon their better selves and fight the good fight against Hive and Daisy long-distance. In fact, the real failure was on the military’s part, since Hive now has the warhead capable of delivering his all-in-one mist to the greater part of the world’s population. Soon, they could all look like rejects from Hellraiser. So let’s talk about the endgame, because this season has made way too much of it, though a lot of that is the fault of the marketing, which won’t shut up about how we’re marching inexorably toward someone’s death. Daisy’s vision not only foretells the loss of a teammate, it suggests they’ll die in space, for reasons we’re not quite clear on yet. And tonight, Yo-Yo handed her cross necklace to Mack, which was handled with the opposite of subtlety—I’m surprised a mini ABC logo didn’t pop up, turn to the audience, and go, “Eh? EH?! 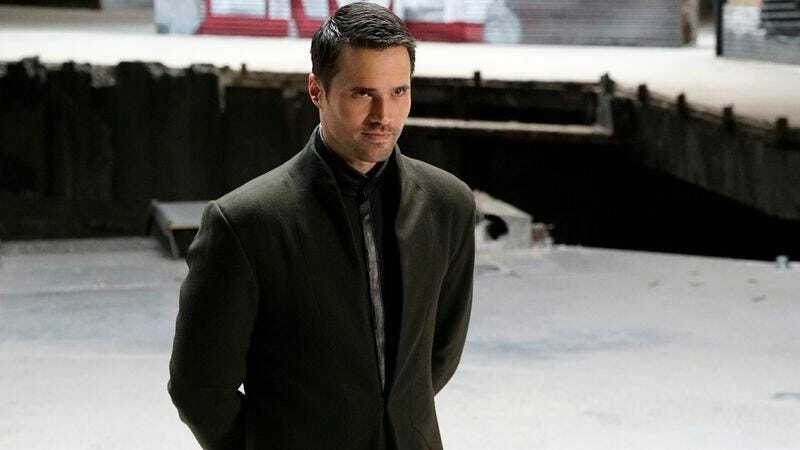 ?” Look, when the show is operating with its usual fleet and adrenaline-laced pacing, these kinds of things are less noticeable, but when it lags, as in “Emancipation,” S.H.I.E.L.D.’s weaknesses get highlighted. Presumably, next week’s two-part finale will be all about stopping Hive before he can trigger the warhead, which seems as good a reason as any to send someone into space. If every Inhuman has a purpose (and Lash’s was to save Daisy, apparently, not stop Hive), it seems fair to ask if they have a choice whether to fulfill their purpose. Can’t an Inhuman simply fail in their purpose? And if so, will that trigger the arrival of a new one to succeed where the last didn’t? Couldn’t Lash have been sent to stop Hive, but the Andrew Garner within him was more concerned with saving Daisy? The idea of purpose is being conflated with predestination—and if that’s the case, it renders moot all the high-minded discussion of choice. If Inhumans should be free to live without registration with the government, they should also have a degree of control over their fate. Otherwise, we’re just watching a pre-recorded game play out. 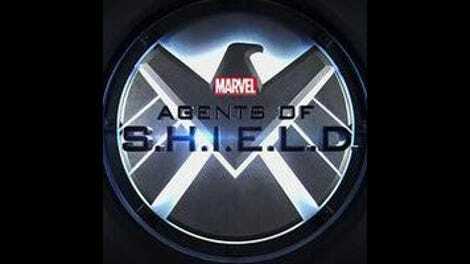 When Agents Of S.H.I.E.L.D. focuses too hard on the destination, it loses sight of the fact that we need to enjoy the ride. It may not be right, but it sure was satisfying watching James and Hive lead those assholes from the Watchdogs into the alley and take ‘em down. Mack and Elena have a couple nice moments, even if they felt forced. And really, it was more than we got with FitzSimmons, who started to reach out to one another only to be interrupted by May. We just needed a minute, May! Hearing Hive refer to the Swayed as his and Daisy’s “children” was an eerie and unsettling touch, and made his affinity for them much clearer. Next week’s review will go up later than usual, both because it’s a two-parter and I’ll want more time to grapple with the finale. I’d be concerned after this misfire of an episode, but—to quote Yo-Yo—I have faith.